With the increasing competition among businesses today, it has become absolutely imperative for businesses to discover more effective ways of making their products and services more competitive. This has led to the invention of a wide range of business marketing techniques. One of them is email marketing. This form of marketing has proved to be quite effective in promoting products and services. Automotive direct mail companies are especially successful at this. Email marketing is basically a special way of sending direct electronic mails to potential customers. These emails are designed for commercial purposes as they are structured in a promotional way. You can also make your business more competitive by hiring the best email marketing service. Fortunately, there are different types of email marketing that you can use for your business. Always bear in mind the fact that, your email marketing campaigns will only work when you employ the best email marketing service. With this in mind, you should find time to familiarize yourself with the latest email marketing services. Try to understand what each service is capable of. That way, you will be in a position to pick the one that suits your email marketing needs. Remember, the email marketing service you choose should be able to provide you with quick and impressive results. Here are ten of the most effective email marketing services that you will find in the market. This service is a special program that is designed to help marketers design their email newsletters. It can be such a daunting task to design fresh email newsletters every now and then. But since you want your target customers to have confidence in you, you have to keep providing them with fresh and relevant newsletters every so often. In order to accomplish this, you need a special tool that will give you a chance to design high-quality newsletters for your email marketing campaigns. 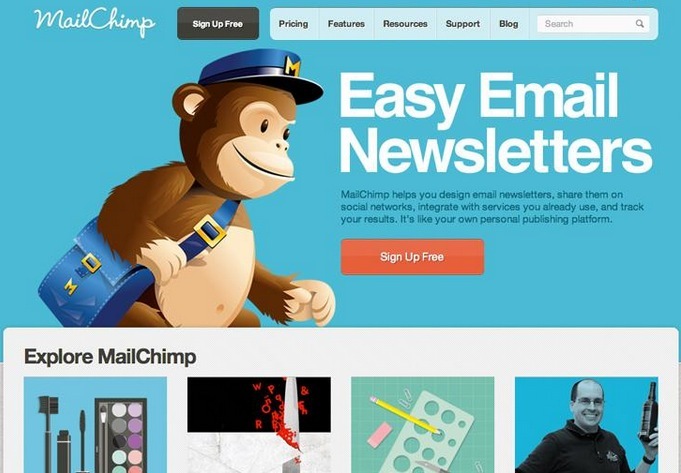 You shouldn’t worry because Mail Chimp will give you the best email marketing service. Furthermore, it will help you to share your newsletters on different social networking sites. It also matches with the existing email marketing services without a hassle. When you are creating your email marketing messages, you need an effective tool that will help you to create the most attractive and captivating messages. Furthermore, you need a program that will help you monitor your email campaigns more effectively. Fortunately, you can perform these tasks using the Campaign Monitor. This program is designed to offer campaign designers the best email campaign service. It will help you to monitor results and manage subscribers. With Stream Send, you will be able to design your email newsletters and send them to different targeted recipients at once. Moreover, this service helps email marketers to ensure that the email is sent to the right recipient. You will also have a chance to monitor the results of your email marketing campaigns. It is always good to check how effective your email marketing processes are so that you can make the necessary adjustments. Although working hard is more promising, you should be a little smarter. Use the best email marketing service such as Stream Send. In order to succeed in your email marketing campaigns, you have to ensure that your email newsletters are attractive and relevant to the targeted audience. The good thing is that there are several tools that can help you to create and dispatch email marketing newsletters that are simple, attractive and fresh. One of these tools is Mad Mimi. This service has proved to be quite effective in helping marketers design quality email newsletters. Every email marketer hopes to run marketing campaigns that are successful and easy on their pocket. But the question is: How do you do this? Well, it is very simple; just find the best email marketing service that can enable you to create high-quality newsletters without any financial setbacks. Fortunately, you can now achieve this by using Bench Mark. It is among the best email marketing services on the market right now. This service helps you to design and send professional newsletters to your targeted recipients. Furthermore, it will enable you to follow up on the newsletters to ensure that the intended recipients received them. That way, you are assured to get the best results. It can be very disappointing to send loads of newsletters and you fail to get a single reply. That is why you need a reliable and effective email marketing service such as Get Response. As an event organizer, you should stay ahead of your competitors by ensuring that your events are properly marketed online. The best way to achieve this is to use a professional email marketing service such as Constant Contact. This is the best email marketing service, especially for companies that want to promote their events. It helps to design, list, and promote events. What is more, you can use it for 60 days without paying a dime. This is email marketing service is designed for marketers and resellers who want to promote their products or services on different platforms including mobile devices. It will therefore allow you to send mobile texts to the people you want to attract to your business. It is also easy to integrate with other marketing services. This service is designed to help marketers and resellers create their own email marketing newsletters. Another aspect that makes it the best email marketing service is the fact that it is available for free trial. It is known to offer impressive results. This service is known to offer reliable email marketing solutions to all users. At the moment, iContact has more than 650,000 users around the world. What is more, it is available at a pocket-friendly price. It offers a simple and effective way to create and distribute newsletters for marketing purposes. You can also find online assistance whenever you encounter a problem. This makes it the best email marketing service. How to Fix Google Chrome’s Shockwave Crashes?